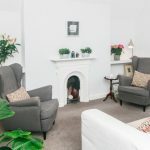 We are committed to offering you our support and our experience to explore the thoughts, feelings, behaviours and experiences, past and present that may be causing psychological and emotional stress for you. We hope and believe that, together, we can help you to discover better and healthier ways of coping and moving forward in life towards reaching your full potential. 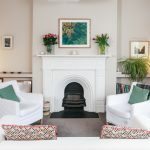 The Elmwood Centre, formally known as The Family Therapy and Counselling Centre Ranelagh, was established in 1987 to provide counselling and psychotherapy services to the community. 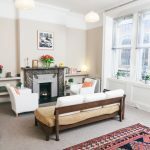 Our Practice moved seven years ago to our beautiful new Counselling and Psychotherapy premises at 22 Upper Baggot Street, Dublin City Centre. It was established to provide therapy to individuals, couples and families who want to take the first step towards resolving their problems, improving their sense of well-being and developing the confidence to change. As a team, our approach to our work, both as individuals and as a practice, is Humanistic and Integrative. Humanistic is a term that is used to describe an approach that respects, values and treats the individual as a whole person physically, mentally and emotionally. This approach also holds the belief that people have choice, freedom, responsibility and the capacity to change, heal and grow towards reaching their true potential. Integrative means that we draw creatively from a broad range of therapeutic strategies to help you on that journey. If you would like to speak to one of our therapists in complete confidence click here to arrange an appointment. It is our aim to uphold and enhance the professional reputation of the Centre by continuing to work hard to deliver the best service to our clients and our team at Elmwood are committed to providing services built on the highest professional and ethical standards. Counselling and psychotherapy are essentially about change. Seeking help is the first step towards planning how we would like to be and what we would like to do in order to effect change. Our Therapists provide assistance with personal development, relationship and communication difficulties, bereavement and issues such as depression, panic attacks, anxiety, stress, addiction and abuse. 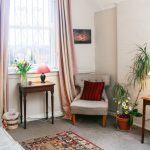 The Elmwood Centre also provides an exceptional therapy room rental service to suitably like-minded and qualified professionals working in the mental health area. We are committed to ensure that our working conditions are suitable for the practice of psychotherapy by developing and sustaining good working relationships, systems of communication and a supportive environment for all.